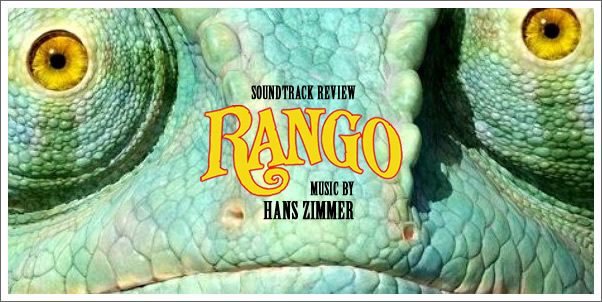 If the soundtracks of RAISING ARIZONA (CARTER BURWELL) and ANTZ (JOHN POWELL AND HARRY GREGSON-WILLIAMS) had a love child, it would be RANGO (HANS ZIMMER). Calling this album “quirky” would be an understatement. Wicked zany crazy would be more like it. The movie is a mishmash of classic cinema references, so it comes as no surprise that the music has everything but the kitchen sink. With a hodgepodge of different genres from mariachi yodeling (WTF?) to classical to even a few seconds of industrial metal (courtesy of punk band Lard), the album listens like the playlist of someone with ADHD. The transitions are jerky, sudden, and unpredictable. You feel like you’re falling through a rabbit hole into The Land of Soundtrack Weirdness. Actually, most of it is The Land of Album Badness. (Not to be confused with badass-ness.) If there are any soundtrack producers reading this, please allow me to outline some rules from the consumer’s point of view--and use RANGO as an example of what NOT to do: . . .